Adobe has boosted the online storage levels for all Creative Cloud memberships (100 GB is now standard, up from 20 GB), plus offers the ability to purchase additional cloud storage – up to 10 TB per account. They also have added other new goodies for CC members such as 1,500 free Photoshop brushes from KyleBrush.com, 45 free profes­sionally-created motion graphics templates in the Master Artists Collection, plus the very popular Adobe Spark with Premium Features (a $9.99/month value by itself). As part of this release, Adobe continues to embed machine learning and artificial intelligence capabilities across the entire suite of tools and services with Adobe Sensei. By blending the art of creativity with the science of data, the goal of Sensei is to help free you from mundane tasks and employ technology to accelerate your creativity. And Sensei loomed very large in the amazing Sneak Peek demos that wowed the annual MAX Conference last week. All current Creative Cloud members receive an automatic upgrade to the 2018 Release, and all of the new free trial downloads are also now live online. As before, the new tools and services are available via budget-friendly annual or monthly memberships. 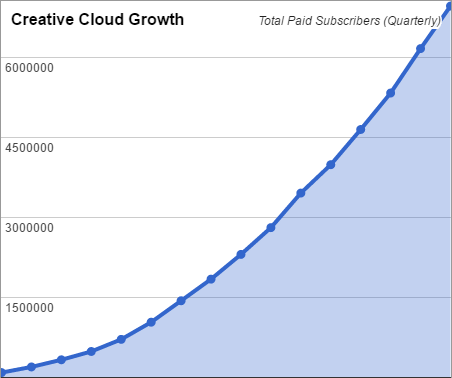 Creative Cloud membership continues to expand at an acceler­ating pace around the world, with now over 15 million paid subscribers. A variety of free mobile apps have also been released or updated for both iOS and Android, which work together with the cloud and the desktop applications. And other top tools and services like Behance, your own Adobe Portfolio website, Typekit fonts, Creative Cloud Market assets, and Acrobat DC Pro (the second most-used Adobe app) continue to be included in Creative Cloud 2018 as well. The CC 2018 applications are complete new builds of the tools and not just “in place” feature updates to the existing versions. When upgrading your system, the CC Desktop App will, by default, uninstall prior CC (not CS) versions on your machine, so that you just have the latest release… It will automat­ically migrate your presets, preferences and any compatible add-ons; however it will not migrate third-party plug-ins. If you do not want it to uninstall your prior versions – for third-party compatibility reasons or just to wait until you’re comfortable with the new CC 2018 version – then click on “Advanced Options” and uncheck “Remove old versions.” In all cases, per usual, you’ll have to reinstall any third-party plug-ins and extension panels after you upgrade. For more information and details, please see this guide. So, it’s up to you: if you choose, CC 2018 will install and run alongside CC 2017, CS6, or any older CS versions with no problem (and some people do this), or you can have the the older release(s) removed. Of course, if you use the CC 2018 direct download links instead of the Desktop App, then you have full control of everything yourself. As a Creative Cloud member you always have access to older CC 2017, CC 2015, CC 2014, CC 2013, and CS6 versions available in an online archive for all subscribers to download and use if/when needed. So if you ever uninstall an earlier version that you want back later, it’s there for you. If you’re trying out CC 2018 and decide to join when the free trial period is up, you can easily convert your trial to ongoing use without reinstall­ing the software. Also important to know is that the system requirements for Mac have changed… The CC 2018 release now requires macOS X 10.11 (El Capitan) or higher. If you’re not running that yet, then you can get a free upgrade from Apple to the latest version of macOS 10.13 (High Sierra). Or instead you can continue to use the older CC 2017 applications. For Windows, there are no major changes to the specs or requirements from CC 2017; Windows 7 and higher still work fine. For more details, consult the complete CC 2018 System Requirements. The only caveat so far against upgrading is for DVA users who rely on Dolby Digital audio encoding or decoding by the CC tools. For further information, see this help page. If you’re on an older operating system or still need that functionality, then by all means you can still keep the CC 2017 versions available on your machine as described above. The complete CC 2018 release is now shipping and available for instant download. If you’re not ready for the complete Creative Cloud now (US$49.99/month) and prefer just a single applica­tion like Photoshop CC 2018, then you can get any standalone CC tool for $9.99 to $19.99 a month with what’s known as a Single-App Membership, or (for both Photoshop + Lightroom) the CC Photography Plan. Education customers still receive a discount of 60-70% off the regular CC prices, for students, teachers, and staff at all levels of school: primary, middle, secondary, college and university… See our guide on how to qualify. If you need to run CC on multiple computers for a group of users, then Adobe offers Creative Cloud for Teams for the most flexibility and ease of management, plus other significant advantages over the Individual CC offering such as the groundbreaking Team Projects. As a Creative Cloud member, all of these just-launched apps and services are available to you immed­iately. Just download and install the apps from your Creative Cloud account (com­pletely on your schedule), or start using the new or updated services. Everyone can also run every­thing for free for 7 days, as all trial periods have been reset from the previous major release. 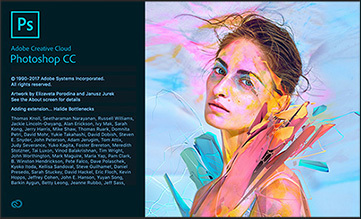 You can find more details about all the new features on the Creative Cloud webpage and blog, or check out Adobe’s official press release. 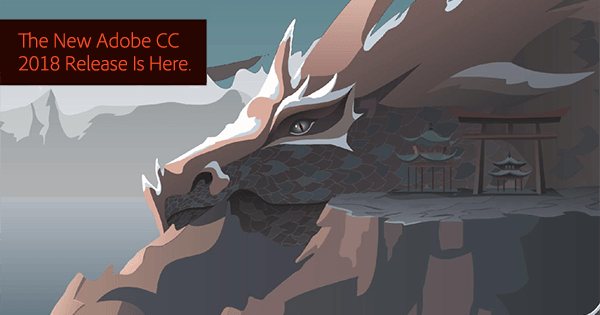 The extensive CC FAQ also answers many common questions, and don’t miss the broad collection of CC tutorials on Adobe TV. Do you have any questions about CC? Just ask them below and we’ll get you answers fast! Very informative article. Glad I read Adobe’s “blog” post linked in the article. Price increases coming next March! Yes, that’s true – it’s the first and only price increase for Creative Cloud in five years. It’s a modest one of 5-6% for some individual CC plans for Commercial customers only, and in North America only… It does not affect international customers, nor Education users (students/teachers), nor Acrobat DC plans, nor the popular CC Photography Plan. And when adjusting for inflation over the past five years here, the equivalent price still works out to lower than it was in 2012, even after the increase. It goes into effect for certain plans bought or renewed after March 1st, 2018… Which means that any annual plans purchased before then will not face any increase until 2019. As you can see from the article above, Adobe has been investing a lot into Creative Cloud and have added thousands of new features and improvements over the years, as well as many brand new apps and services. So the increased value delivered as well as everyday inflation is what explains it. For further details, please see Adobe’s official post about the adjustment. Are the 1,500 new brushes by Kyle already installed in Photoshop, or do they need to be downloaded from his site? thanks for the updates, they are great.